In May of 2017, Anik Singal of Lurn, Inc. donated $25,000 to Village Enterprise, a non-profit dedicated to ending extreme poverty in rural Africa through entrepreneurship and innovation, to fund entrepreneurs in the Sabwani Marinda village in northern Kenya. In the time since the initial donation, several members of the village have gone on to transform their lives forever by building successful businesses. Village Enterprise was founded in 1987 by Brian Lehnen and Joan Hestenes to help the poor start micro businesses and lift themselves out of poverty. Initially, the non-profit was a small, volunteer-run organization working through local churches. However, the organization took on its first paid team member in 2001 has grown significantly since then. 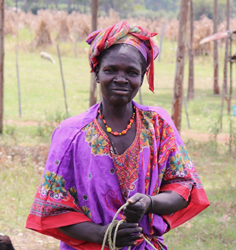 The organization works in rural East Africa where over 60% of the population lives below the global extreme poverty line of $1.90 per day ($693.5/year), and where little or no formal employment exists. By equipping these first-time entrepreneurs with the tools and resources to create sustainable three-person businesses — training, mentoring, $150 in seed capital and access to savings and growth capital — they break the cycle of poverty for entrepreneurs and their families. Since 1987, Village Enterprise has started over 43,000 businesses and trained more than 169,000 East Africans.They’ve changed the lives of over 850,000 rural Africans since inception, and they’re committed to helping the United Nations reach its goal of ending extreme poverty by 2030. They project they will have helped an additional 700,000 Africans out of extreme poverty between 2015-2020 - more than in their entire 30-year history. If there’s one trait that Anik could attribute to becoming a successful entrepreneur, it’s gratitude. His non-profit activity is a big way that he displays that gratitude. Anik also founded For All Our Good, a self-sustainable non-profit organization that envisions a world where every child has the opportunity to flourish and unleash their entrepreneurial spirit. Through this organization, Anik has built several schools, or Dream Centers as he calls them, in India. Through his work in India, Anik saw the potential that entrepreneurship has to change the world and lift people out of poverty. During a conversation with his friend and fellow entrepreneur, Yanik Silver, Anik learned about Village Enterprise’s work. After researching the organization, he was convinced that the work they’re doing is making a real difference in people’s lives in Africa, so he decided to donate. With his donation, Anik provided the capital necessary to train 150 new entrepreneurs who have started 50 three-person businesses. On average, each new business raises the standard of living for around 20 people, which means that over 1,000 men, women, and children have changed their lives through one donation. Since Anik donated back in 2017, the entrepreneurs in the Sabwani Marinda village have been hard at work. While there are several groups who started businesses, these are just a few stories of what has transpired over the last two years. The first group of entrepreneurs - Florence Jeptekei, Beatrice Tengan and Richard Simatwa - used their funding and training to start a small garden where they raised tomatoes and greens that they would sell to people in their area. After saving the profit for months, the trio purchased pigs to diversify their assets and income stream and now run a successful piggery. One of the biggest changes that Richard has seen his in life is that he now has the money to pay for school fees and uniforms so that his children can get an education, and he’s even saved enough money to pay for his son’s wedding. The second group - Elizabeth Kamboy, Sally Chirchir and Janet Najala - used their seed money to start a cake baking business. Unfortunately, the cake business didn’t turn much of a profit and the group had to put their heads together to decide what their next step was going to be. Instead of giving up, they sent Elizabeth to the Local Women’s Empowerment Center to attend a soap-making workshop. Since then, they’ve earned around $1,000 by selling the soap and detergent to local schools, and they plan to purchase a soap-making machine to expand their business. The third group - Monica Sitienei, Caroline Simiyu and Lomeyen Kerio - came together to start a produce stand. Where they set up shop is the perfect location to sell small bags of flour, handmade donuts, dried fish, seasoning and packets of dish soap. They also take care of sheep, and Monica even saved up enough of her own money to purchase a cow. The fourth group - Esokori Etabo and Marko Ewoi - received agricultural training as part of their experience with Village Enterprises, and they’ve used that training to grow and sell tomatoes and cabbage, and they also own a cow and a sheep. They’ve earned over $2,500, have been able to purchase a generator to pump water for their irrigation system, and now employ others to help with the day-to-day upkeep of their farm. These are just a few of the stories of people who have used the seed capital to build their businesses. There are now 15 total business groups in the village who are using entrepreneurship to transform their lives and communities forever. There’s now less conflict, more peace, both men and women are earning money and children are in school and eating. These are the results that inspired Anik to donate. If you, or anyone that you know, is interested in helping to change lives forever through the power of entrepreneurship, there are several ways to get involved with Village Enterprise. However, the most common way is through donations. Donors also have the option to host an event or participate in a fundraising campaign to help end extreme poverty. If you’re a female entrepreneur, you can participate in The Akina Mama project for Village Enterprise. The Akina Mama project connects female entrepreneurs with their counterparts in East Africa to build a network of female entrepreneurs all around the world. If you’re interested in learning more about the Village Enterprise mission or how to get involved, visit their website at https://villageenterprise.org/. Lurn is the transformational home for entrepreneurs. We provide a virtual and in-person training center to teach, coach and guide entrepreneurs all over the world. For more about Lurn, please visit https://www.lurn.com.